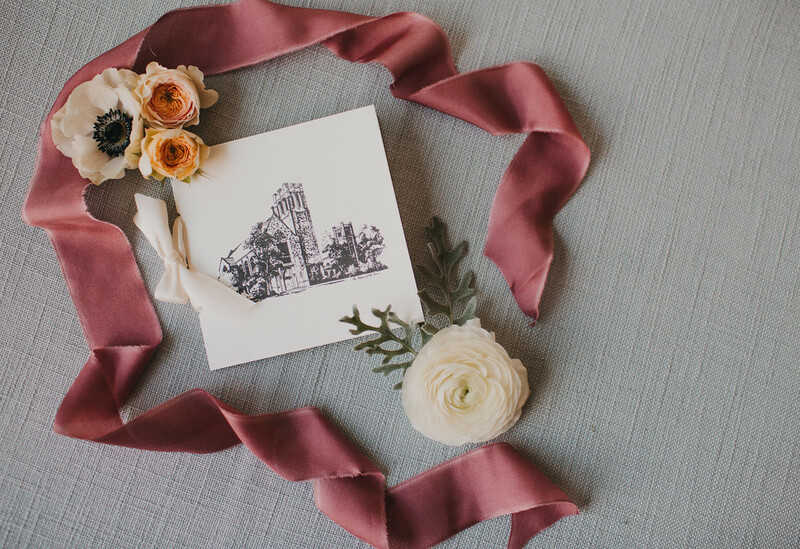 Classic Chapel Hill + one totally in love couple make for one of the most special and joyful weddings ever! Kate + Eric made my job so much fun, and I’m so excited to finally share more photos from their wedding day! 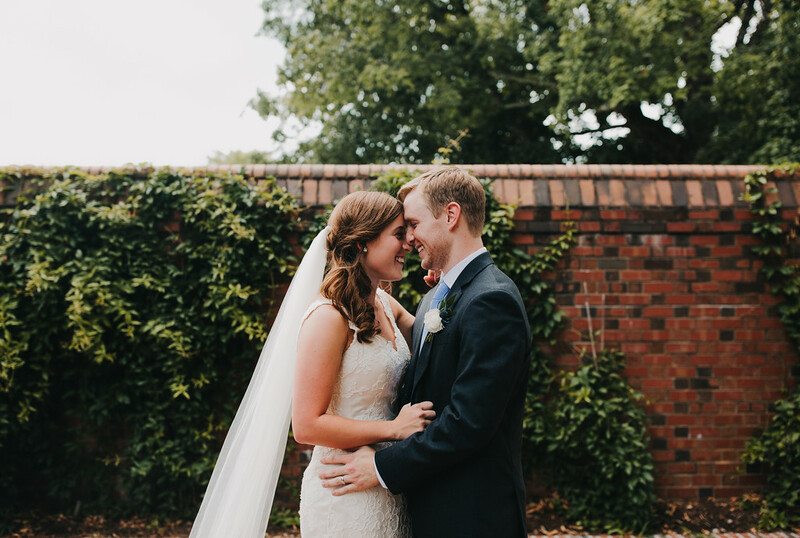 In July, these two tied the knot in front of 300+ friends and family on a sultry, beautiful summer day in Chapel Hill, North Carolina. 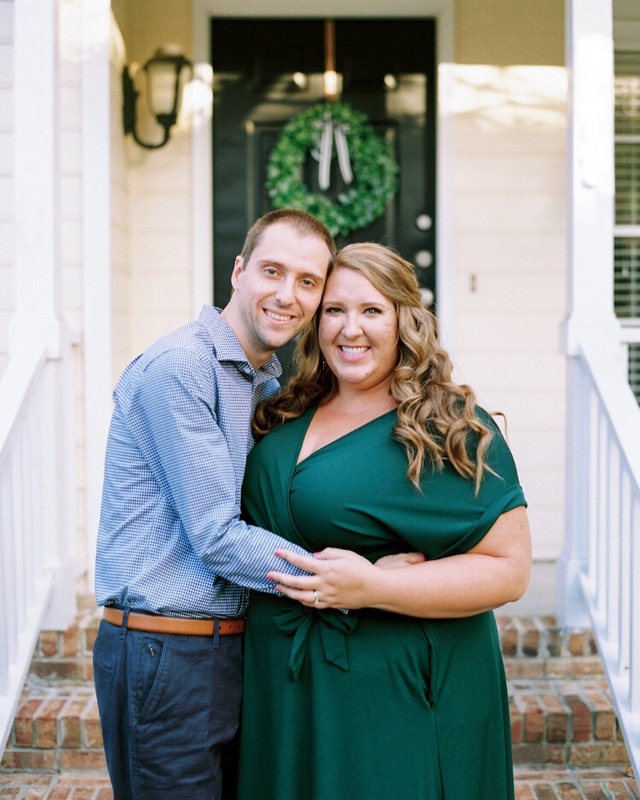 UNC was the perfect setting for Kate and Eric, as so much of their love story revolves around Chapel Hill. 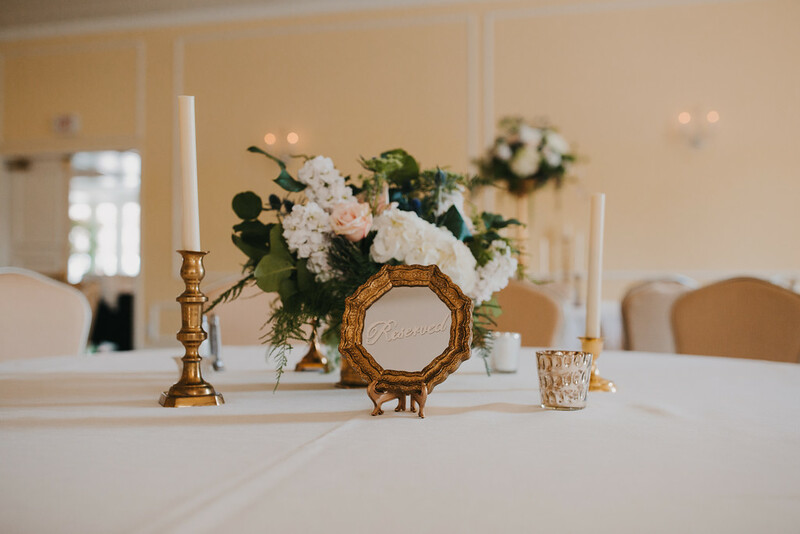 From their ceremony at the Chapel of the Cross to their reception at the Carolina Inn, I love how many meaningful, personalized, and beautiful touches were incorporated throughout the entire wedding weekend! Aren’t these bridesmaids and bride just the cutest (and most beautiful!)? Matching button down shirts and happy girls create such a meaningful and fun picture! I’ve always been a big fan of large wedding parties, and this one is no different – they were the sweetest, most lovely group of bridesmaids. They even started their day at Chapel Hill’s iconic Merritt’s Grill before beginning on hair and makeup! I’m also obsessed with this classic invitation suite for Kate + Eric! I always carve out time during the day so I can style, and I loved using the fresh blooms to tie it all together! Brett from Blest Studios did a fantastic job capturing every detail of the wedding day. 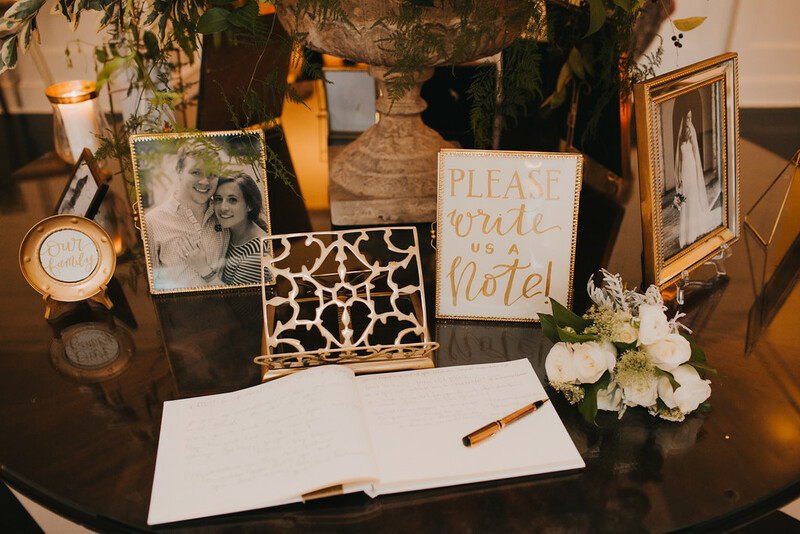 Kate and Eric’s wedding was classic but with a fresh twist, and designing the details and executing it all was a dream come true. 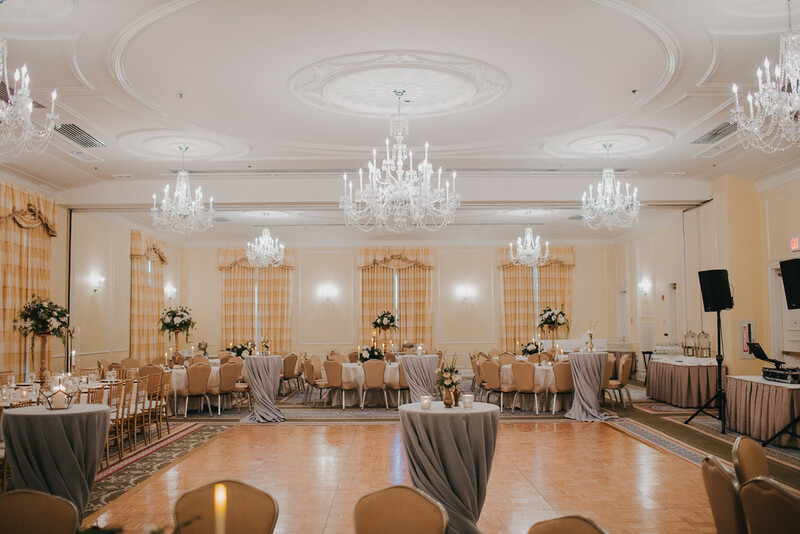 I love, love, love how we transformed the Hill Ballroom at The Carolina Inn! 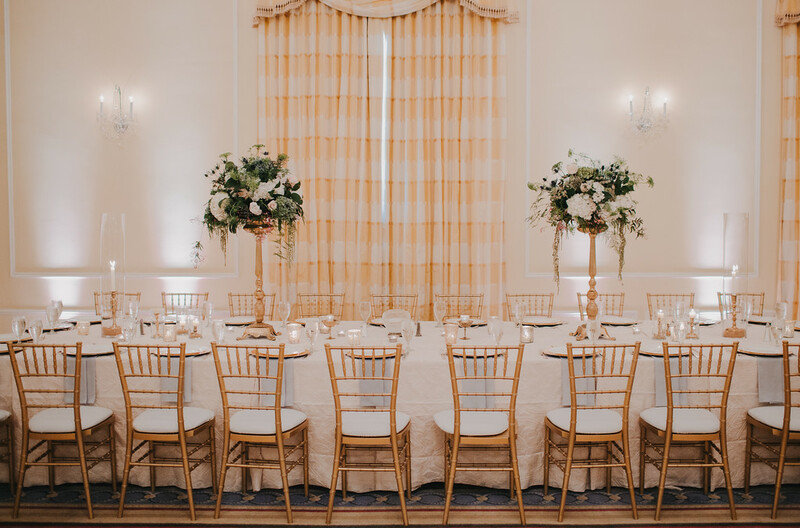 We brought into two of my all-time favorite linens from CE Rental to design the space, and Eventful + Jenny’s Projects Floral Design did an over-the-top amazing job with the decor and florals! Goodness gracious, the vision that we had for this wedding was even better in person. 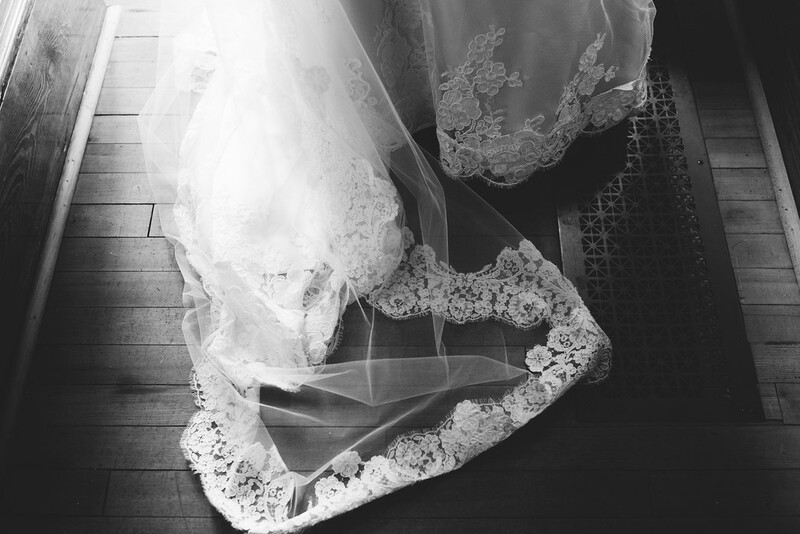 The lace edging on Kate’s veil gets me every time! The wonderful photographer, Brett from Blest Studios, captured so many beautiful details throughout the entire wedding day. 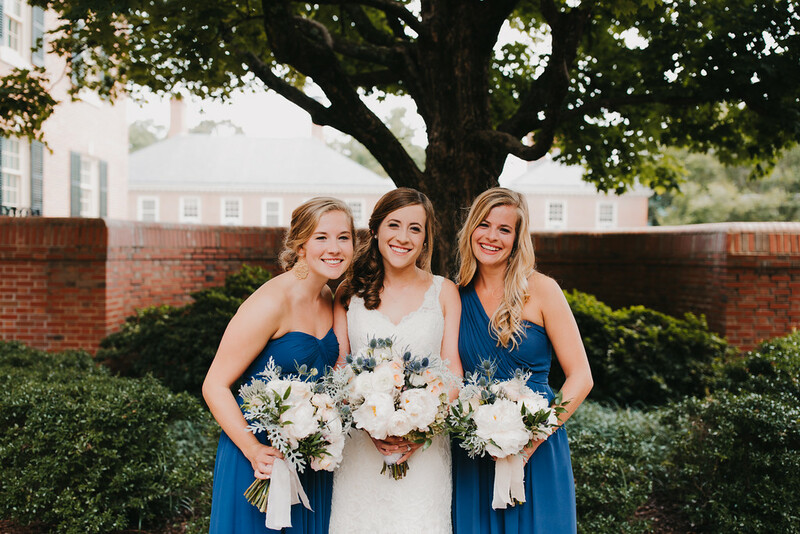 And The Carolina Inn, Chapel of the Cross, and UNC’s campus also provided the most perfect settings for all of their portraits during their wedding! The mother of the bride cried when she saw the flowers from Jenny’s Projects – Floral Design – always the best sign!! They were unreal + filled with so many of my favorites… blush peonies, thistle, ranunculus, spray roses, + anemones. So gorgeous! I love how lush and unique the bouquets were, and they were accented with gorgeous silk ribbons trailing from the bouquets. The flowers Jenny and her team did for the reception were phenomenal, too! There was once massive centerpiece for the focal table in the Carolina Inn’s iconic black & white hallway, and this centerpiece was the biggest I have ever seen. 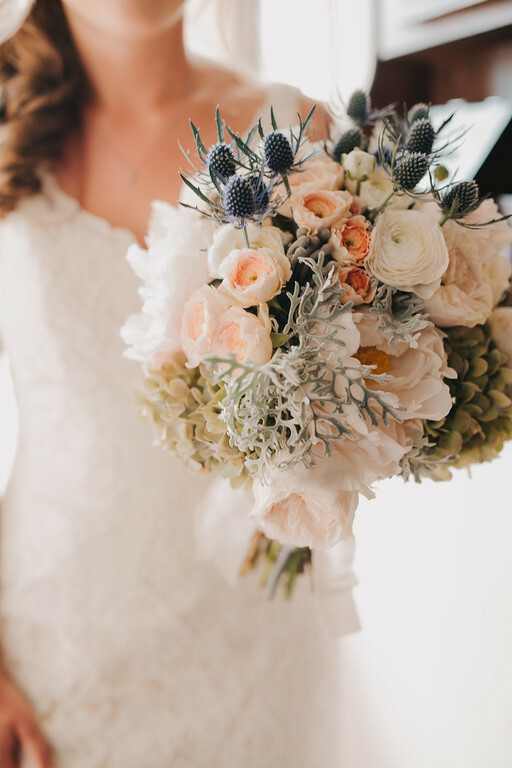 I couldn’t get enough of all of the blooms featured throughout the day, and the color palette was so dreamy, too! These three sisters are so sweet, stunning, and downright hilarious! I love those candid, sweet moments just after the ceremony when they become husband + wife. So much joy! The Chapel of the Cross was absolutely filled to the brim with loved ones who came far and wide to celebrate the marriage of Kate and Eric, and the entire service was abounding in love and joy. I must admit, I have never seen a dance floor so packed at a wedding – and for so many straight hours! It was a total blast, and you could tell their guests were having the best time! 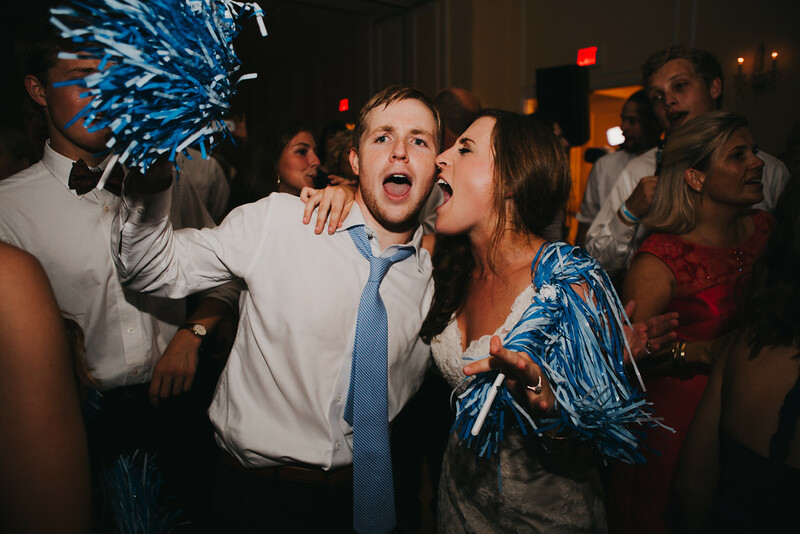 The sweet mother of the bride, Amy, and I conspired in the months leading up to the wedding, and Ramses, the UNC mascot, surprised the bride and groom (and their guests) in the middle of the reception! Ramses was decked out in his Tar Heel wedding finest (a tux! ), and he partied all night with everyone. Kate and Eric were the sweetest, most easy going, most excited couple who radiated so much grace, love, + joy all weekend long!! I cannot say enough wonderful things about this couple and their families, and it was the biggest joy to plan their wedding day. I truly work with the most wonderful couples in the world! Lots of love, you two!